I’ve (finally) finished writing all my semester exams – only one more semester to go before I finish my BA in Communication Science! I was telling friends last week that I am so tired of studying. KB and I have been dating for over 6 years, I’ve been studying for 5 of those. It’s pretty much dictated our social life for the majority of our relationship. I’m lucky that he is so supportive and hasn’t once been resentful or annoyed when I say I can’t attend a braai or go to a party because I have to study. I have a break before the next semester starts and I’m going to use it to relax to the max! I am more of a summer lover, however, I do appreciate that winter forces us to slow down and take a step back. Maybe it’s just me, but I find that I spend more time reading, baking and couch surfing than I do in warmer weather. If you read my Needful Things post for April you’ll know that I bought myself the book Big Little Lies by Liane Moriarty. I finally started reading it this weekend and I’m hooked! I haven’t allowed myself any reading time while in the thick of studying, because I have absolutely no self-control and would neglect my learning material in favour of reading. I’ve also been googling and reading up about pregnancy and being pregnant – what to expect, etc. It’s exciting! 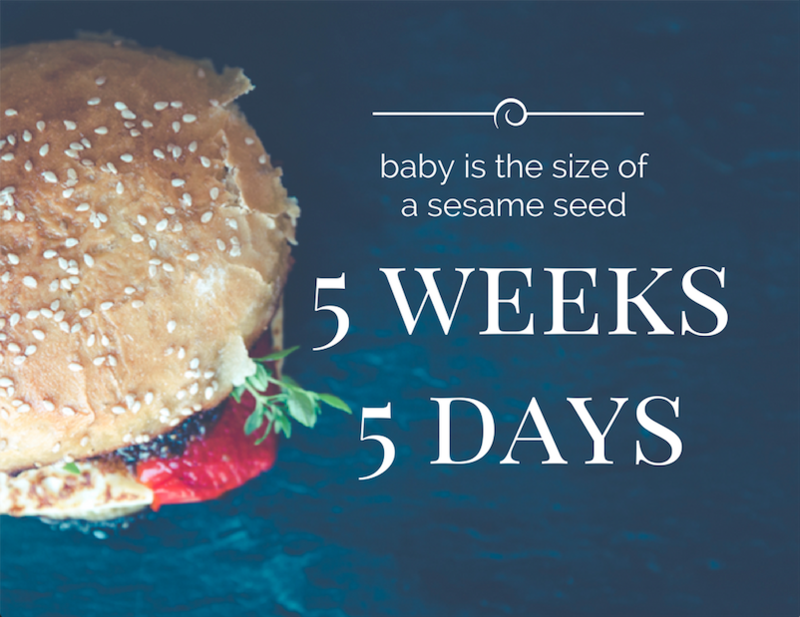 According to a pregnancy app I downloaded, the baby is roughly the size of a sesame seed and measures around 3mm. The kidneys, liver, intestines, appendix and other vital organs are already starting to grow. Upper and lower limb buds are starting to form (these will eventually be arms and legs!). The earliest version of the retinas is also developing. Nostrils and facial features are starting to form this early too. Isn’t that flipping incredible? I am awestruck by what my body is doing while I go about my business. I don’t feel nauseous at all, but I am feeling quite crampy – similar to period pain. My emotions are OK, though I am irritable over small things. But the most noticeable thing of all? I want to eat ALL THE POTATOES. As in ALL.THE.TIME. I don’t really care how they’re prepared; boiled, roasted, mashed, fried, a bag of crisps… I’m not fussy. Potatoes in any form are a MUST at this point. I’ve always enjoyed potatoes, I am that person who will be satisfied with a plate of chips for breakfast, but this is on another level. Fortunately I seem to have gone off all the sweet things. Hopefully I move on to another food fixture, because potatoes aren’t exactly the least fattening item on the menu, ya know?! I jazzed up the header image using canva.com, but the original photo is by Markus Spiske. Previous Article← We’ve got the results! Awesome! This update was worth the wait, lol. Your potato craving cracked me up!And ja, I totally get you about the studying thing. I met my husband in varsity but was ‘forced’ into my degree by my snobby mom so when I met him, I quit uni, then changed degree and started again while we were married. I’m currently doing my Honours so can TOTALLY feel you. Enjoy the little break! All the best with ‘school.’ Man, seeing your update made my day. I had no clue how worried I was about you till I saw it and heaved a sigh of relief. Can’t wait till July 10!! So happy that all is going well so far…I look forward to your updates. Had my scan yesterday and Egg Retrieval is set for tomorrow at 09:10am…anxious,nervous and excited…Your blog has really helped me to prepare myself mentally for each step…thank you once again. Congrats Nicky – what an exciting journey for you and KB. Amazing the miracle of life…..